On Friday, May 30, I am thrilled to be participating in the American Bankruptcy Institute’s “Student Loan Debt Crisis Symposium” in Washington, D.C. The symposium will bring together academics, practicing attorneys, judges, lawmakers, consumer advocates, and borrowers to discuss the growing student debt crisis and possible reforms. My presentation will be focused on default and distressed borrowers. It will be an important conversation, and I hope it will help facilitate policy changes that will positively impact students and their families. This week, the National Consumer Law Center (NCLC), a consumer rights policy and legal advocacy organization based right here in Boston, announced that it is suing the U.S. Dept. of Education under the Freedom of Information Act (FOIA) for its secretive debt collection practices. By way of background, the Dept. of Education contracts over 20 private collections agencies to collect on its defaulted federal student loans. Taxpayers foot the bill for these collections contracts, which cost over $1 billion in 2011 alone. The Dept. of Education projects that these costs may eclipse $2 billion by 2016. There is widespread agreement that many of these debt collection agencies routinely misrepresent student loan law and violate consumer protection statutes. Nevertheless, this federally subsidized debt collection business is booming, and contracts are routinely renewed by the Department despite widespread abuses. NCLC stated that they have tried for over a year to obtain information under FOIA on secret contracts between the Dept. of Education and individual debt collection agencies in order to obtain details on Department oversight of the industry, and financial incentives that are provided to the companies. The Dept. of Education failed to fully comply with NCLC’s request, so NCLC filed suit in federal district court. It will certainly be interesting to see how this turns out. The contract details between the Dept. of Education and debt collectors would shine a huge light on how these operations actually work, and could provide a foundation for reform. Read NCLC’s press release here. Senator Elizabeth Warren (D-Mass.) has proposed a bold new bill that allows students to refinance their student loans at lower interest rates. As many of you may know, interest accrual on student loans can cause loan balances to skyrocket over time, making them very difficult (and very costly) to repay. Federal student loan interest rates are generally lower than private student loan interest rates, but they have been bouncing around a bit during the past decade. Rates on undergraduate federal student loans doubled last year before they were reduced again by a flawed piece of legislation that lowers federal student loan interest rates now, but will allow the rates to explode in the coming years for new borrowers. The interest rate reduction also did nothing to help those borrowers who were stuck with higher rates from earlier years. Sen. Warren hopes to change that. Her bill allows those students with higher interest rates to refinance their student loans at the current lower rates, which are 3.86% for undergraduate Stafford loans, 5.41% for graduate Stafford loans, and 6.41% for PLUS loans. With a loan balance of $50,000 and an interest rate of 6.8%, interest accrues at a rate of $283 per month. That means that with a monthly payment of, say, $400 per month, most of that is going to interest and not principal. It’s going to either take higher monthly payments, or a longer repayment term, to repay this loan in full, as compared to loans with lower rates. If that borrower is able to refinance her loans at a rate of 3.86%, interest would accrue at a rate of only $160 per month. Suddenly, that $400 per month payment is going a whole lot further to pay down the balance. Interest rates really do make a difference. Perhaps most strikingly, Senator Warren’s bill also allows borrowers to refinance their private student loans through the federal student loan refinancing program. This is a huge benefit to private student loan borrowers, who often are stuck with interest rates that exceed 10% and are locked out of other federal student loan repayment programs. The bill isn’t perfect. Borrowers who have already consolidated their federal student loans are stuck with a 6.41% refinancing option, which is good, but not great. Moreover, defaulted borrowers are locked out of the program. And to pay for the cost of the program, the bill raises taxes on millionaires, which in today’s political climate will make it a tough sell in Congress (despite the broad appeal and popularity of the millionaire tax). But this proposal would have real, measurable impacts on millions of borrowers if it is enacted. And with more draconian student loan reform proposals coming from the House of Representatives and the Obama administration, it is encouraging to see something that I think would be a net win for student loan borrowers. We’ll see if it passes. Don’t hold your breath. Check out the bill here. Federal student loan default is a special kind of hell. Not only does it wreck a borrower’s credit report and prevent the borrower from obtaining new financial aid to return to school; federal lenders also usually assign the loan to aggressive third-party debt collectors, who are then authorized to tack on enormous penalties and collections costs that the borrower is responsible for repaying. There is no statute of limitations for the collection of federal student loans, meaning lenders and collections agencies can pursue the borrower to the grave. If the borrower makes no arrangement to bring the federal loan out of default, the federal lender can resort to involuntary collection methods such as the seizure of tax refunds, the offsetting of federal benefits (such as social security and military pay), and wage garnishment. Wage garnishment is particularly problematic for borrowers. First, there’s the actual garnishment itself, which can cause serious financial hardship for people who are already struggling. Moreover, an active wage garnishment order can block a borrower from bringing the federal loan out of default through rehabilitation (a temporary repayment plan) or consolidation (a new federal loan through the U.S. Dept. of Ed). This can effectively “lock” a borrower in default, with no way out except to settle or pay the loan in full. The new regulations being issued by the U.S. Dept. of Education change how wage garnishment works by allowing a borrower to lift the wage garnishment order by making five consecutive monthly payments. These payments must be made on top of the wage garnishment, so it won’t be easy for people, but it at least provides a way out for borrowers who would otherwise be locked in default and wage garnishment indefinitely. This is a very good thing. The regulations also provide new guidelines for those borrowers seeking to rehabilitate their defaulted loans. The regulations specify that the Income-Based Repayment (IBR) formula can be used to calculate a “reasonable and affordable” monthly rehabilitation payment for borrowers, and they also provide that collection agencies can do a further, more comprehensive financial review of a borrower’s circumstances to modify the calculation. This may make rehabilitation a more attractive and affordable option for eligible borrowers who want to remove their federal loans from default. These regulatory changes are solidly good reforms in my view, and I think they will have a measurable impact on borrowers who are in trouble. The regulations do not officially go into effect until later in 2014, but I’m already starting to see some agencies implement the “spirit” of these regulations. Hopefully within a year, it will be easier for many borrowers to get themselves out of wage garnishment and federal loan default. To read the summary of these new federal regulations, click here. A few weeks ago I blogged about the horrors of federal student loan default and how it can make your life pretty miserable. Luckily, there are many ways of avoiding default, as I briefly discuss in my article. The National Consumer Law Center (based right here in Boston, MA) has recently released a comprehensive report about default: who is defaulting, why they are defaulting, and what can be done to help people who might be at risk of defaulting. It is a thorough and well-researched report and worth a read. Check it out here. Federal student loans are, to put it bluntly, a very different kind of debt. As young, idealistic high schoolers and college freshmen, we’re taught that college is necessary to get ahead in life, and (unless you come from serious wealth), the ticket to that ride is paid for with student loans. Moreover, nearly all financial aid award packages from schools include at least some federal student loans (unless you get a full scholarship). All you have to do is sign! No one tells you the ugly side of federal student loans, however, and many people do not realize the very serious consequences that can result from defaulting on your federal student loan obligations. No other type of consumer debt is like this. It’s pretty remarkable. Without a court order, the federal government or federal loan guarantor can garnish your wages. They can seize a sizable portion of your paycheck (up to 25% in some cases), every single pay period. Without a court order, the federal government or federal loan guarantor can seize your tax refund. Makes the IRS look tame. Without a court order, the federal government can offset federal benefits, such as Social Security or disability payments. In poverty? Too bad. Collections agencies will report defaults to all three credit bureaus, which will lower your credit score significantly. Federal law authorizes private collections agencies to tack on “collections costs” of anywhere from 18.5% to 25% of the defaulted loan balance. This is how collections agencies profit off of defaulted borrowers– and it’s the taxpayers who often foot the bill. Federal student loan debt collection is a multimillion business that involves dozens of private contracted third-party debt collection agencies. You are prohibited from obtaining new federal financial aid while you are in default. So if you defaulted before you finished your degree, you’re stuck. There’s no statute of limitations, which means the government can collect on your federal student loans for the rest of your life. That means that if, for instance, your wages are being garnished, they will continue to be garnished until the loan is completely paid off. The federal government or loan guarantor can sue you in court. Luckily, there are lots of programs to help keep people from defaulting. There’s Income-Based Repayment to keep monthly payments relatively affordable, consolidation to help with repayment management, and loan forgivenessoptions as well. Deferment and forbearance are also available if you find yourself unable to make your minimum payments. Bottom line? 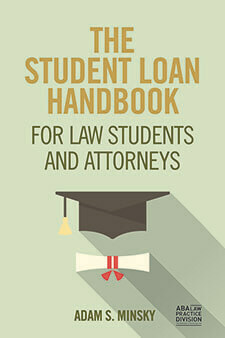 Avoid federal student loan default. Seriously. Delinquency and Default: What’s the Difference? 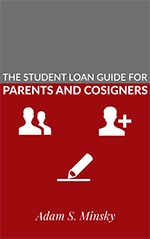 If you don’t make your student loan payments, there can be serious consequences that impact your borrowing rights, your credit score, and ultimately your ability to pay off your student loan. But what exactly happens when you can’t pay? Delinquency. 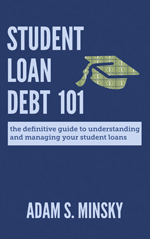 When your student loan is delinquent, it means that you’ve missed at least one payment and your loan is in danger of going into default (discussed below). Think of delinquency as “pre-default.” Delinquency periods (the length of time before your loan goes into default) vary depending on your student loan. For federal student loans, you can be delinquent for up to 270 days (approx. 9 months) before you go into default. For private student loans, your delinquency period is usually far shorter, sometimes as short as 30 days. While your loan is delinquent, your lender or servicer may report the delinquency to credit reporting agencies, which could harm your credit. You can cure the delinquency by either making your required past-due payment, or by exploring deferments and forbearances. It is very important to come up with a game plan before your loan goes into default. Tip: if you’re worried about becoming delinquent because you have trouble keeping track of all your student loan payments, you may want to explore auto-debit. Default. Strictly speaking, default occurs when a borrower has broken the terms of the loan contract by failing to adhere to repayment obligations. Defaulted student loans are far more serious than delinquent ones. While you can cure delinquency relatively easily by making your payments or going into deferment/forbearance, once you’re in default, it may be difficult to get out.